Qi Jiguang (1528 - 1588) and his fearless Qi Army defended China’s east coast from a raid by Japanese pirates (wokou) during the Ming Dynasty. 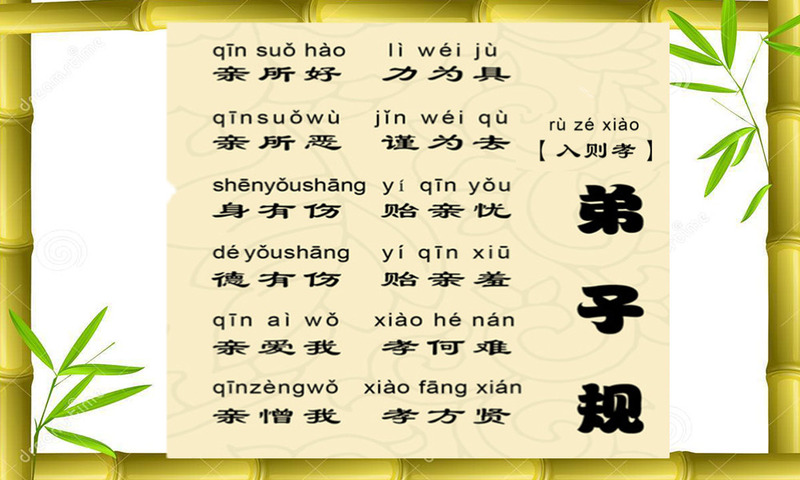 Dizi Gui (弟子规) states that we must not act in any way that is wrong or unfair to others, even if we think that the act is trivial and bears little or no consequence. Our parents would not want to see us doing things that are immoral or illegal. It also states that we should not keep any secrets from our parents, however insignificant the secret may be, because it will hurt our parents’ feelings if we do. In ancient times, parents were strict in applying these standards and rules to their children, with corresponding disciplinary action. This nurtured many children to become formidable generals without fear of death. Under the guidance of their righteous parents, they became honest officers in China’s many dynasties, serving their people and country without seeking any returns for themselves or their families. One such example is the story of the Ming Dynasty general, Qi Jiguang, and his father, Qi Jingtong. Qi Jiguang was born into a military family. At the time Jiguang was born, his father, Qi Jingtong, was at the relatively old age of 56. Jiguang was the only son in the family and his father loved him dearly. He personally taught Qi Jiguang to read books and to practice martial arts. However, he was very strict with Jiguang’s moral character and conduct. Qi Jiguang (1528 – 1588) and his fearless Qi Army defended China’s east coast from a raid by Japanese pirates (wokou) during the Ming Dynasty. One day, when Qi Jiguang was 13, he received a pair of well-made silk shoes. Walking back and forth in the courtyard in his new shoes, he felt very pleased with them. But Jiguang was seen by his father, who then called him into the study and scolded him angrily, “Once you have good shoes, you will naturally dream about wearing good clothes. Once you have good clothes, you will naturally dream about eating good food. At such a young age, you have developed the mentality of enjoying good food and good clothing. You will have insatiable greed in the future. Qi Jingtong learned that the silk shoes were a gift from Qi Jiguang’s maternal grandfather. However, he still ordered Jiguang to take off the shoes, and he instantly tore them into pieces to prevent Jiguang from developing the bad habit of indulging in luxury. Once, the Qi family needed to renovate over a dozen of their rooms that were in very poor shape. Qi Jingtong hired several artisans to perform the job. Because the family would need a presentable place to host officials from the royal court, he asked the artisans to install four carved flowery doors in the main hall, and Qi Jiguang oversaw the installation. The artisans regarded the Qi family as one of nobility and thought that it would look too frugal if there were only four carved doors. They talked to Qi Jiguang privately, “Your elders are generals. For such a noble and wealthy family, all doors throughout the house should be carved, flowery doors, which would be twelve such doors in total. Only this grade of setting will match the social status of your family.” Qi Jiguang thought their suggestion was reasonable and brought it up to his father. But Qi Jingtong severely scolded Qi Jiguang for his extravagant and ostentatious idea. He cautioned Qi Jiguang, “If you pursue and indulge yourself in vanity, you won’t be able to achieve great things when you grow up.” Qi Jiguang accepted his father’s criticism and told the artisans to install only four carved doors. 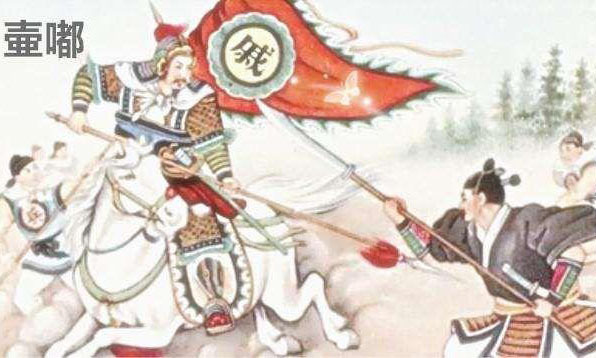 Qi Jingtong also taught Qi Jiguang that the purpose of studying liberal arts and practicing martial arts was not to pursue personal fame, personal achievement or personal wealth. Instead, it was for the well-being of the nation, the society and the people. By learning from his father’s teaching, discipline, and exemplary conduct, Qi Jiguang sought frugality and felt content with moderate food. He was diligent and earnest in his studies and practice of martial arts. Later, he became a famous general as well as an outstanding strategist of the Ming Dynasty, and fought against the invading minorities. His name is forever imprinted in Chinese history. Qi Jiguang had learned that showing off, indulgence, attachment to one’s own appearance, acquiring wealth, achievements and status—these attachments are all for the purpose of seeking flattery and praise, and are all manifestations of vanity. The root of vanity is the attachment to one’s ego. It will surely ruin one’s noble aspirations, and this person is doomed to fail in major undertakings. If one is enthralled by such illusive honour and—driven by such a mentality—fights with or even harm others, he would be a person of lamentable character.